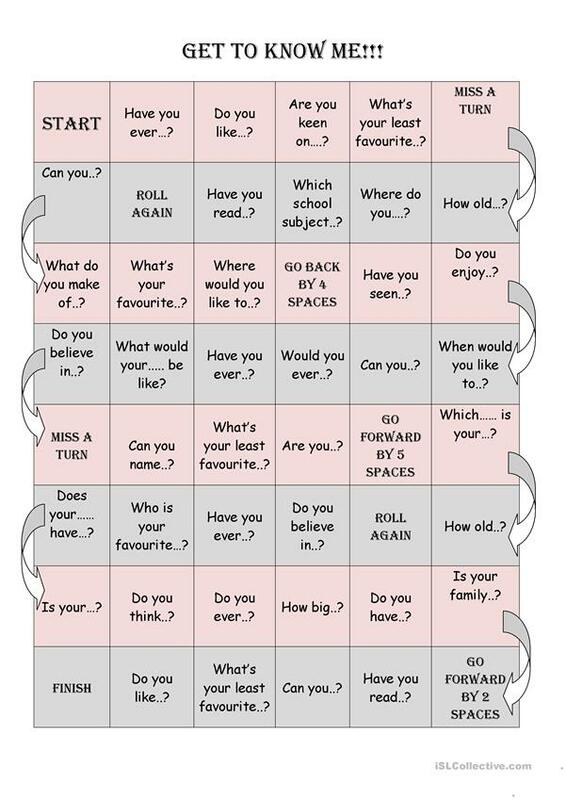 Simple game helping to break the ice and practise question forming. Students are prompted to form a question and ask them to another player of their choice. The prompts are open-ended which means each game is different and unique. The present printable, downloadable handout is intended for high school students and elementary school students at Pre-intermediate (A2), Intermediate (B1), Upper-intermediate (B2), Advanced (C1) and Proficient (C2) level. It is great for consolidating Questions: WH questions (open-ended questions) in English, and is excellent for working on your students' Speaking skills. I work as an EAL TA at a primary school in the little town of Morecambe England. My main job is to help students coming from immigrant families to develop fluency in English.